"Brian made a presentation and facilitated a workshop at our annual Safety Summit for about 400 leaders in our company. Our company has had a Journey to Zero program for a couple of years now. We decided it was time to have someone from outside the company refresh the message. Brian took the time to learn about our business, challenges, and areas of outstanding performance. Throughout his presentation he used real world examples from his industry as well as relating our company experiences to his message. He truly provided an energized significance to the Journey to Zero message while providing some additional concrete concepts for improving employee safety programs. One of the measures of a great training is how people are applying the message when they get back to their everyday operations. It has been great to hear our managers and supervisors quoting from Brian’s presentation and developing methods for implementing the ideas. His passion for safety performance was loud and clear throughout his presentation. It will be exciting to see our company put his ideas to work to continue on the Journey to Zero." - TRACY BARTELS Health and Safety Manager, Vail Resorts, Inc.
Get the tools you need to develop a company culture of empowerment, accountability, and prevention. "Brian, your presentation was outstanding and resonated with everyone. It will spark many conversations within everyone’s respective organizations and bring about change. Just consider the conversations it generated today. We will never know how many lives will be saved or injuries averted from this one presentation! I want to thank everyone for making today’s safety meeting a success and renewing the commitment to a safe port Partnering for Progress . Having all of our tenants, stevedores, ILA and other Port partners in the room was great and gives me confidence that we will have the buy in needed. We can do this!" "Brian's vision of what his company needed to improve the safety of employees and the general public was the reason we requested him to come speak at our seminar. Every owner in the industry needs to hear Brian's presentation. His message that safety and operations can work together to improve the overall company culture, while growing the business, disproves the popular assumption in our industry that safety and operations/revenues are at odds with each other. Brian also showed that by involving the employees from the start, you'll have "buy in", as it is their program. The employees take pride in their work while representing the company. And, as Brian states, costs are minimal to implement these changes, yet the ROI, including savings and increased business, makes me wonder why more aren't following Brian's lead." “We were very fortunate to have Brian Fielkow present the keynote address at the National Tank Truck Carrier’s (NTTC) Annual Tank Truck Show & Maintenance Seminar last month in Louisville. The Tank Truck Show is our largest event of the year and Brian’s “Driving to Perfection” (D2P) presentation was very well-received by our attendees, who mostly represent the operations side of our business. His presentation was thoughtful, reflective and quite meaningful to our audience. Brian’s safety commitment at Jetco strongly echoes the NTTC’s safety mission for our unique industry. 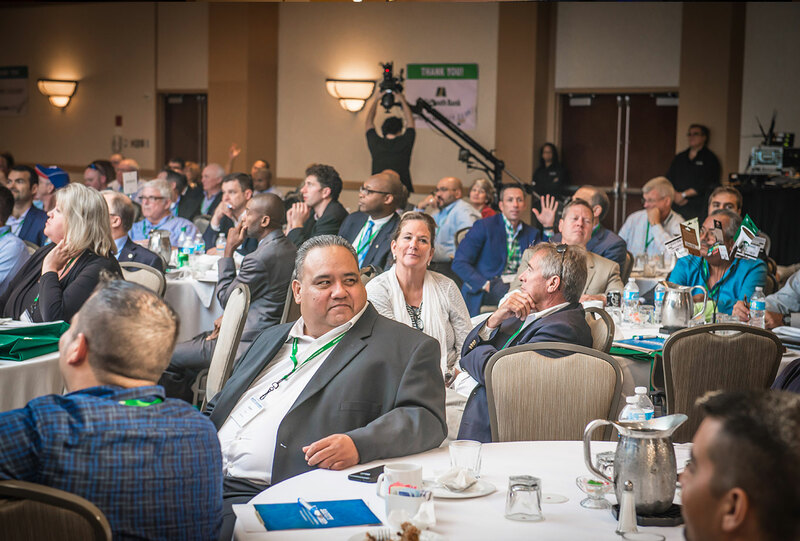 His firsthand, C-level account of the importance of building a safety culture within his organization offered our attendees critically important guidance that could be readily applied back home at their respective operations. For those who have yet to embrace a safety culture, Brian’s presentation was a significant wake-up call. For those who have such a culture, Brian affirmed the value and necessity of a company-wide commitment to safety.” DAN FURTHPresident, National Tank Truck Carriers, Inc.
"As a trade association representing the Texas trucking industry, we are always exploring various avenues to enhance the value of membership to our organization. We recently held our first Trucking Executives Management Conference and invited Brian Fielkow to be our lead presenter, setting the tone for the conference. Brian did an excellent job discussing his 'Driving to Perfection' (D2P) program, which establishes a culture of safety, commitment and the drive towards excellence. He delivered great information and concepts for attendees to work towards implementing within their respective companies. "Brian’s presentation to our management staff was a big hit! His approach to leadership and safety closely mirrors ours and he is able to communicate it in a way that really hits home. He kept everyone’s attention throughout and ended with a lively group discussion. His book is a great resource when implementing his ideas." JEFF HAKALAVice President, Texas Ports at Ceres Gulf, Inc.
"It was our great pleasure to feature Brian Fielkow as the kickoff speaker for our Fall Safety Council Series. Brian’s presentation, Driving to Perfection, was a homerun with our group. "Brian’s presentation to our leadership team in June 2014 truly exceeded my expectations and was an outstanding segue into our discussions about how to build our culture and create better alignment. Jetco Delivery is a valuable industry partner to the Port of Houston, so hearing Brian’s experiences with developing the “Driving to Perfection” (D2P) culture at Jetco was very relatable to our team. Jetco’s transformation really made our leadership team reflect on our culture, values, and purpose at the Port. We have used all of the positive energy generated during our meeting to continue our journey toward cultural excellence in our organization. We’ve focused on building upon our key takeaways and promoting the message throughout our organization. In addition, we handed out Brian’s book to all the participants after the meeting so we could continue the dialogue at future sessions. 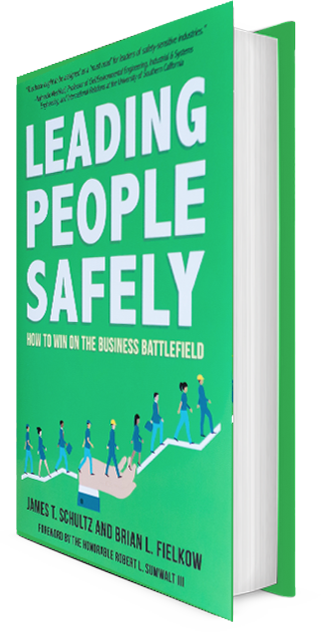 The book is a must-read for anyone in a leadership position looking for practical, concrete ideas that any company can implement to see tangible results.